O.S Electrical are FIBARO Dealers & Installers. FIBARO is a complete and affordable Home Automation System that is retro fit-able to existing electrical wiring, giving your home or business a 21st Century edge with minimal fuss and no need to rewire your entire property. The FIBARO System takes the realms and possibilities of Home Automation out of the hands of the super wealthy into the hands of the normal consumer. Please see the FIBARO Product & Prices page and begin planning your Automated Home. 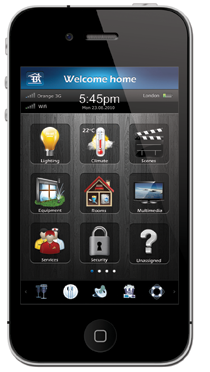 With a FIBARO system installed, you can take control of all aspects of your home or business starting with Lighting, Power, Door Access, Blinds & Curtain Control, Energy Efficiency & Monitoring, Zoned Heating, CCTV, Fire Alarms, Security Alarms, Audio/ Visual Systems, all brought together with the elegant and easy to use FIBARO App for your Phone, Tablet or Computer (iPhone/ iPad, Android, Mac, PC). There are almost limitless possibilities and uses for a FIBARO system; from simply being able to create and control lighting scenes from anywhere in the building (or world) to smart logic that can operate any aspect of your home to specific rules and timings. Such examples are entrance lights that automatically switch on when someone comes through the front door, but only when it is past sunset; Automatic dimming of lights to save energy in large rooms with natural light; Make Security Cameras or Alarms switch on Security Lights to deter intruders while also emailing or alerting you of their presence; Smoke, Heat or Carbon Monoxide Alarms that light up escape routes when an alarm is detected or close/ open windows depending on the alarm type; Heating that automatically switches off if no presence is detected for a certain amount of time; An all on/off switch by the front door that operates different scenes depending on the time of day - daytime simply turn the heating on - night time turn the heating and lights on. 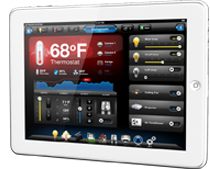 The possibilities are endless with the accomplished FIBARO Home Automation System.